How did a dementia patient register to vote? Kim Terrell returned from a trip overseas and went to St. Catherine's Healthcare and Rehabilitation Center to visit her mom. Elva Bacon, 88, has vascular dementia. "She basically lives in the past," Terrell says. Our full Election Guide, complete with endorsements, bond issues and propositions, hits stands Thursday, Oct. 30. But for those who are voting early, follow this link to help you decide your vote if you just can’t wait. How did Manny Aragon plead? What's next for Club 7? Where does New Mexico land on the list of "working poor" states? Thefts of which type of car are on the rise in Albuquerque? 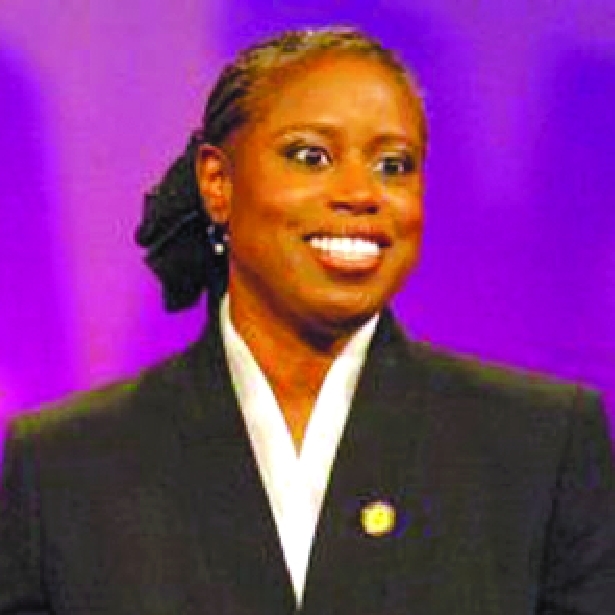 Cynthia McKinney says politics is no place for a a fashion show. "It's not a beauty contest. It's not a popularity contest," she intones on a YouTube clip. "Politics is about power and public policy." All it wanted was a place to hang its helmet. Duke City Derby left its home court at Midnight Rodeo and spent the season trying to put a new home together. While DCD waited for a rink to emerge, skaters busied themselves by whipping squads from other states. The all-star travel team Muñecas Muertas beat the Kansas City Roller Warriors to earn a spot in the Women's Flat Track Derby Association Championships in mid-November. Kansas City was ranked No. 1 in the nation before falling to the Muñecas. The cover of Newsweek has spent its fair share of time under the microscope of professional scrutiny. The best thing about spending two September weeks in a farmhouse in Tuscany was not having a cell phone, a television or the Internet. Dateline: Indonesia—A pair of rural job seekers were tricked into getting their entire faces tattooed by a bogus official offering government jobs. Village chief Sawiyono, who was helping the men find jobs in Jakarta, claimed he received a text message from a government official who purported to be offering work as intelligence officers to villagers, Antara state news agency reported. The sole condition was that potential employees must have a full-face dragon tattoo. Sawiyono realized he had been tricked after checking with the subdistrict chief of the Bojonegoro district of East Java, who told him there was no such requirement. By then, however, it was too late. Nangang, 30, and Bambang, 40, had already gotten their tattoos. “I am fully responsible for the mistake and I will do my best to help the men remove their tattoos,” Sawiyono said. The man purporting to be a government official was later identified as a “mystic” who the two men believe put them into a trance in order to convince them to have the tattoos. Indonesian police said it was the third such hoax to have been reported in recent months. [Re: Council Watch, “Bike and Shop,” Oct. 16-22] I was pleased to see that Councilor Isaac Benton has proposed a bill updating Albuquerque's bicycle traffic code. I just fear that the changes may be too late for me. I commute to work each day on a bicycle, on a road that has a low speed limit and is supposedly safe for bicycles (name of the road is withheld for my own safety). Using exercises that flex the muscles of all five senses, explore what stage confidence looks, sounds, feels and smells like in order to experience a faming (the opposite of shaming) of the body.